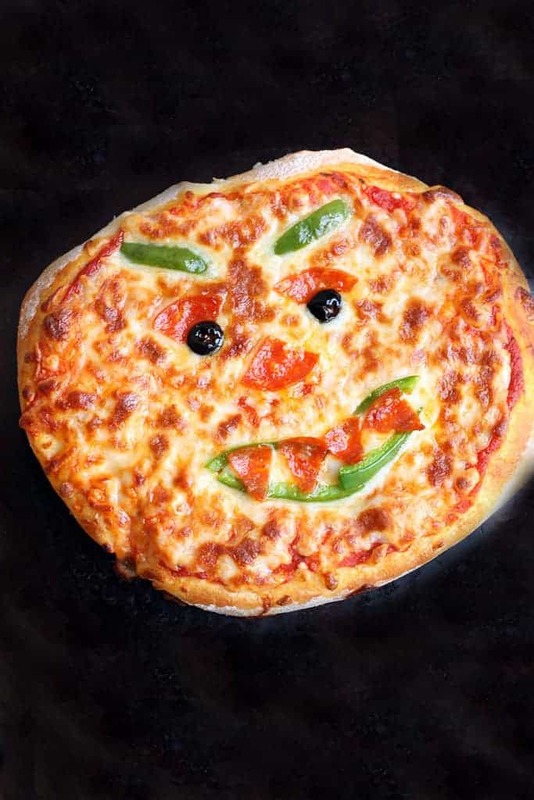 Simple Creepy Mini Halloween Pizzas with the best no-rise pizza crust recipe! 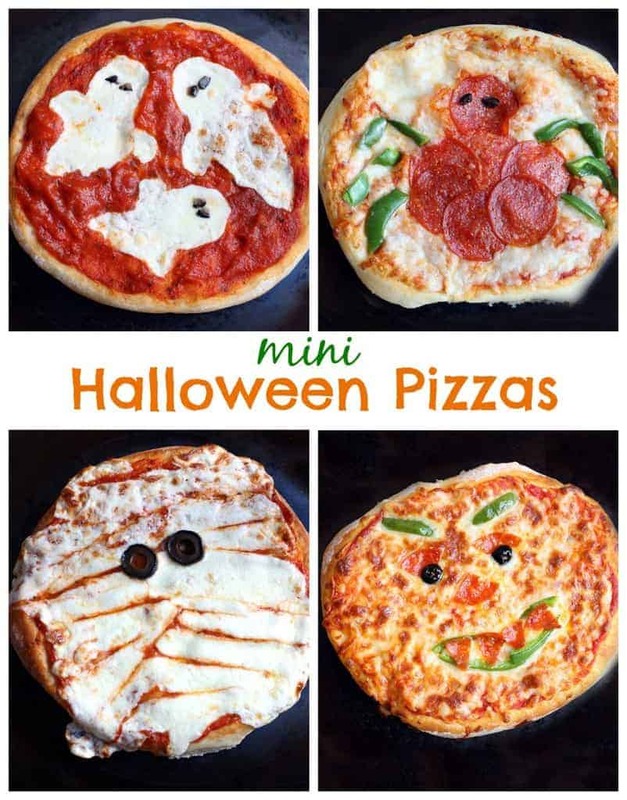 Mini pizzas are a fun party idea for Halloween with your kids. I’ve mentioned before that pizza nights are almost a weekly occurrence at our house. I love this pizza crust recipe that is made from scratch, but it does take time to make when you include the extra rising time. I’ve always been hesitant about “no-rise” pizza crust recipes because they’ve never turned out great for me–UNTIL NOW! Fleischmann’s Pizza Yeast has changed my opinion completely. You don’t have to let the dough rise, at all, and the result is perfect, light and delicious pizza crust! It’s made my pizza making nights the fastest meal ever! Literally I can have homemade pizza on the table in less than 30 minutes. I was honestly skeptical before I started, but now I’m completely sold on this No-Rise Pizza crust recipe. 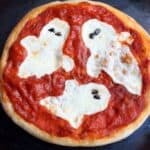 These little Creepy Mini Halloween Pizzas were the perfect activity for family night this week. 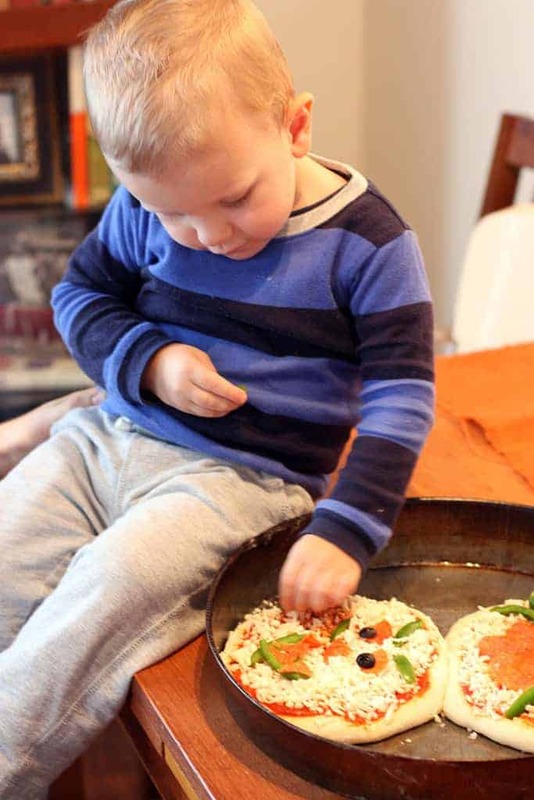 Jackson loved helping put the toppings on and we had fun thinking of ways to decorate them. This will definitely be a Halloween tradition at our house! 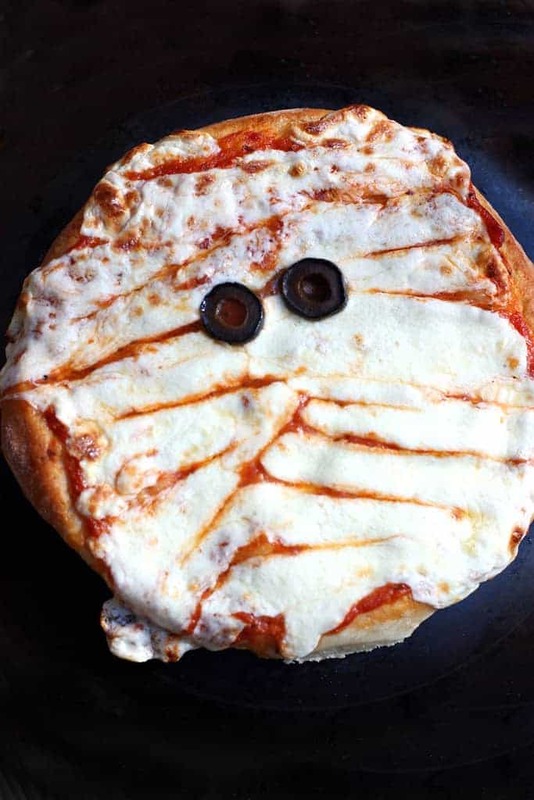 Simple Creepy Mini Halloween Pizzas with the best no-rise pizza crust recipe! Combine 1 cup flour, undissolved yeast, sugar and salt in a large bowl. Add warm water and oil; mix until well blended, about 1 minute. Gradually add enough remaining flour to make a soft dough. Dough should form a ball and will be slightly sticky. Pour dough out onto a floured surface and knead, adding additional flour if necessary, until smooth and elastic, about 4 minutes. Divide dough into 4 portions. Roll or pat each portion into an 8-inch circle and place on a greased baking sheet. Bake for 5-6 minutes -- dough will be just set and only lightly browned on the bottom. Spread each crust with pizza sauce. Top with desired toppings to make Halloween designs! Bake for an additional 5-8 minutes, until cheese is melted and bubbly. I really love these ideas! 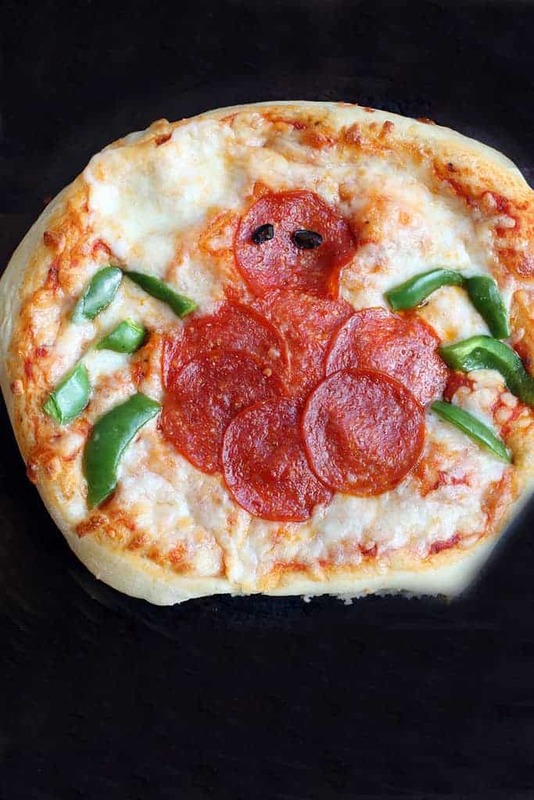 My boys love pizza and are way into Halloween this year so this is perfect. Thanks! These are the cutest of all the Halloween ideas I’ve seen. And practical too. The kids might actually eat something before they go gathering all the treats! 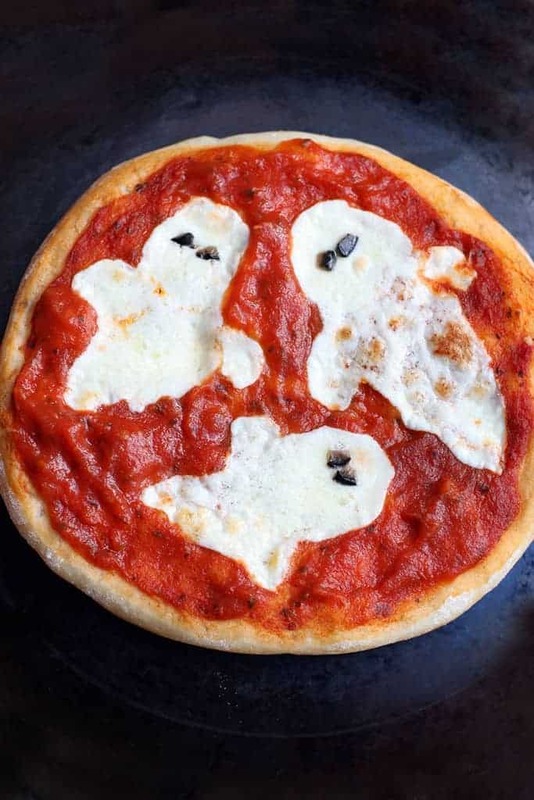 These little Halloween Pizzas are adorable. Gotta make these next week. Thanks so much. These pizzas have become a tradition at our house. Your crust recipe is PERFECTION!